Helen Rambles On: Pai Kukai and Jojoba Bead Skin Brightening Exfoliator - Reviewed! 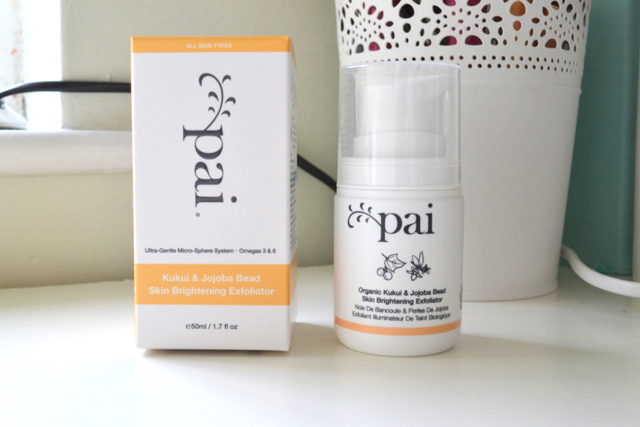 Pai Kukai and Jojoba Bead Skin Brightening Exfoliator - Reviewed! For a while now i've been looking for the perfect face scrub that doesn't feel like i'm putting sand paper to my face, I often use chemical exfoliators but sometimes you need to use an old fashion scrub. I recently tried a sample of this one by Pai (featured in this post) and after one use I knew I would need the full size. 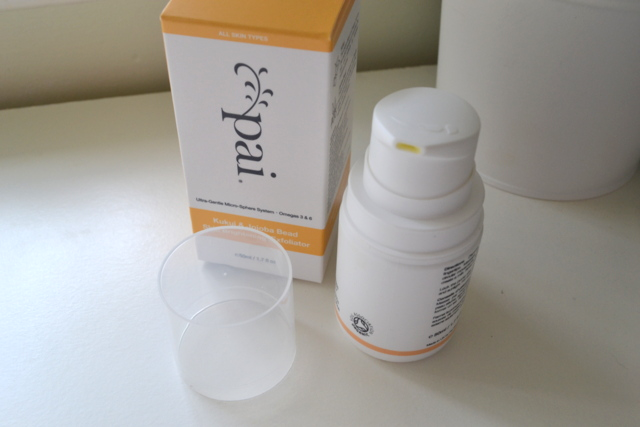 This is the first product i've tried by Pai and I have to say I love the packaging. I definitely prefer simple packaging; the product comes with a pump and a lid so it is safe for traveling as well as dispensing the required amount of product. 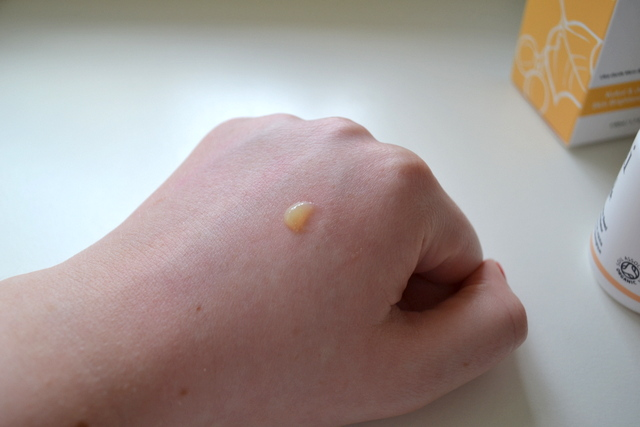 The consistency of this exfoliator is definitely different from others i've tried in the past. It comes in a yellow gel with the smallest white/clear beads which you can barely see. The product has a lovely fresh lemon scent to it, I apply 1-2 pumps onto my finger tips and gentle massage into the skin. It doesn't feel harsh on the skin and once removed with warm water the skin doesn't feel tight. Even thought the product is very gentle it still manages to leave the skin smooth and get rid of any dry patches or bumps on the skin. It won't damage the skin cells like some harsh scrub can and it also contains no alcohol so it won't dry out the skin. Instead in is rich in omega 3 and 6 to lock in moisture. This scrub has become a firm, I use it once or twice a week and it makes my skin feel so lovely. When used before a face mask I find it makes the mask work better and any creams applied afterwards sink it better. I would definitely recommend this even if you have sensitive skin because it is very gentle. Pai Kukai and Jojoba Bead Skin Brightening Exfoliator retails for £20.00 for 50ml. What is your favourite Pai product? Never heard of this brand before but this sounds really good, I love that it doesn't contain alcohol!